Hey, it's Caleb. Caleb Bryant. There's not a simple explanation for - just kidding. This isn't 13 reasons why the MadPea Summer Hunt is amazing. In fact, if I were to list all the reasons out, there would probably be more than just 13. Simply put, if you haven't at least tried to participate in the newest interactive event produced by none other than the innovative MadPea Productions, then I will say that you are missing out. I've been a MadPea supporter since 2014, buying into only the products I always thought were "so cool!" - my exact words. 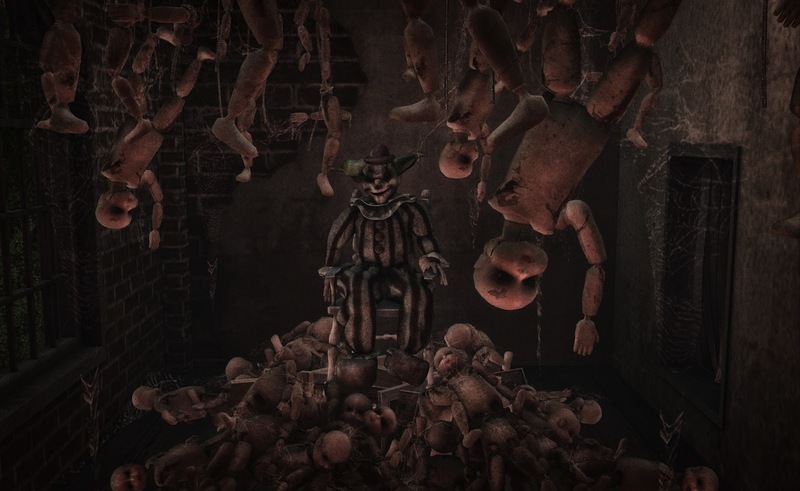 However, I did not join in on these events and games until rather recently (Sinister Slaughters, The Tower, Glass Jar exPEAdition, the Mystery Case). Other die-hard MadPeas who have participated in games and ExPEAditions since the beginning would probably be shaking their heads at me because I had missed out on all the fun. Sadly, it is true - I had been missing out! But not anymore, and here's to hoping those who are reading this don't miss out any more like I have been. Here's a brief breakdown on how the MadPea Summer Hunt works. For $100L, you can purchase a MadPea Summer Hunt HUD at the MadPea HQ that grants you ability to hunt for seashells that have been placed out gridwide from June 25th to July 9th. 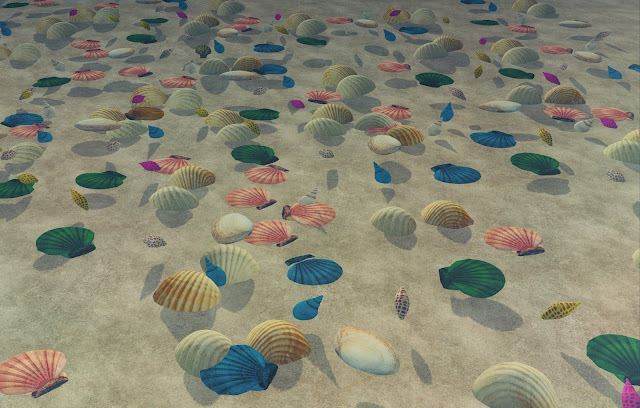 To find these seashells, the HUD acts like a compass/radar that leads you to the treasure. Depending on the types of seashells collected, you gain a certain number of points. Some shells give 10 points, some 25, some 50, and even 100 points (during the time period of July 2-4). With these points, you can redeem some fantastic prizes, perfect for having fun in the summer, that can be found here. Trust me, these prizes are really great quality. At first, the main reason why I even participated in this hunt were for the rewards! But as I continued with the hunt, there's a lot more to why this hunt stands out and is the most addictive hunt I have ever done, which I will go into further below. The MadPea Summer Hunt - Fun? Definitely! You might say: "But it's just a hunt, I've done hundreds of those!" This hunt is definitely a different breed of hunting. In fact, it is the best hunt I have ever participated in since my 10 years in SL. First off, you are hunting to earn points which you later redeem for a high quality prize(s) of your choosing. Your points are kept track of in real time and there is a gridwide leaderboard system. Plus, this hunt has been created by a professional business company so you bet that the hunt will run smoothly with a large support team and a large MadPea community at your fingertips. Second, you are split into teams (there are three teams total), racing for points and unlocking more prizes as a team entity and as a collective. I really enjoyed the introduction of teams racing against each other for points. It vastly broadened the monotony of solo hunting and created a more engaging gridwide gameplay that invites more interaction, and of course, competition. More individually competitive than team competitive? There's a daily $500L reward to each of the top point contributors of each team as an incentive for those lone wolf hunters. Top three hunters by the end of the hunt receive a big reward of $5K for 1st place, $3K for 2nd place, and $2K for 3rd place. Third, while the hunt lasts only for two weeks, the shells themselves are scripted to only last for a limited amount of time (24, 48, or 72 hours), making the hunt a lot more dynamic. Shells may disappear from where you may have last found them the day before and may or may not reappear at a totally different place on the sim. New shells are being placed out daily at different sims, making the hunt a constant mystery of where the HUD will take you next. Fourth, while you are hunting for these seashells, the MadPea HUD can take you to some really neat locations. 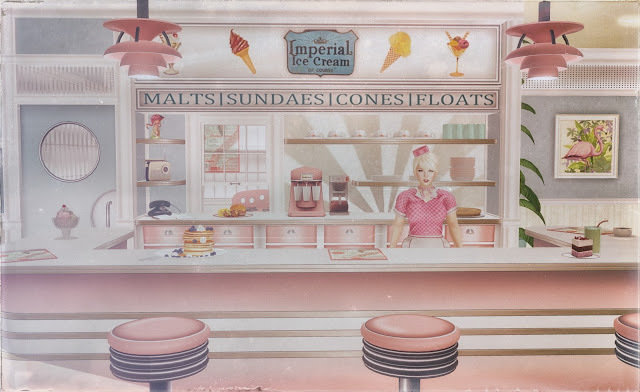 And even though this is listed fourth way down, I will say that going out to see all these new locations in the SL world has been the most rewarding part of this MadPea adventure. To be fair, because of the business model of which MadPea has allowed anyone with a fee to participate in hiding these seashells for traffic, exposure, and participation, some of these locations you will be hunting at are hit or misses. 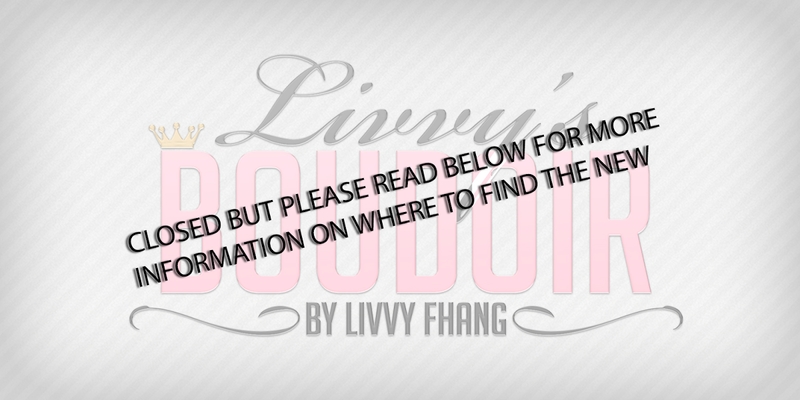 As a full disclosure, not everywhere would be a place you may be comfortable with. However, while hunting for seashells, I have found some really beautiful and interesting sims that have landmarked for future visits whether it be for photography, hang outs, dancing, or even yes - more shopping. Fifth, all prizes are not revealed at the beginning of the hunt. This is incredibly smart, encouraging hunters to keep coming back for more participating even after a day or two of hunting is over. A week into the hunt, prizes were still being unlocked and each one gets better and better since the prize value themselves are increased with every unlocked achievement from gathering collective points. Most hunts last only a day for an individual, whether they complete the hunt all in one go or get bored of it after a while. But this hunt is dynamic and encourages repeated daily hunting through not only individual or team competition, as well as the promise of new prizes that get revealed the more points are gathered. 1. The exploration! I forget just how massive and diverse the SL world is. With just this hunt alone, I have visited a vast range of locations from underwater realms to elegant dom/sub safe zones. 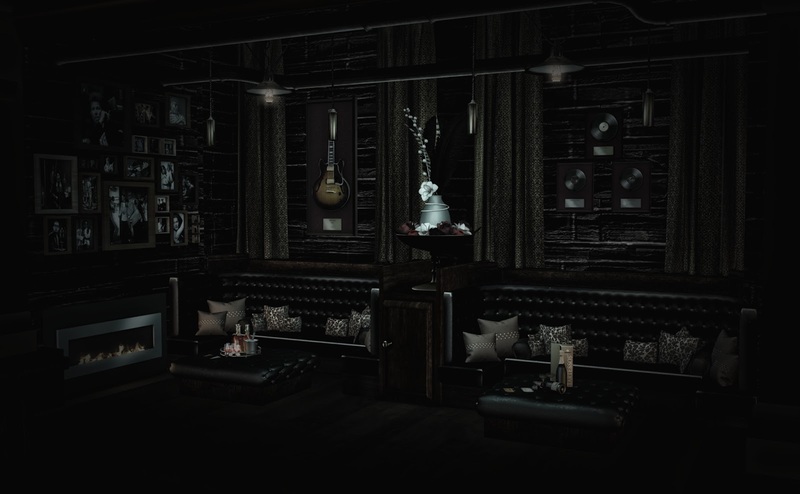 And though I have only been hunting off and on for a week now (started a few days late), my favorite spot I came across has been a classy decorated Jazz club called The Jazz Den. I've seen a few clubs in my days, even fewer are the jazz clubs, but as a person who loves to listen to some soulful jazz when the mood strikes, I know I will be going to visit this Jazz Club. Nicely decorated interior with plenty of luxury seating and open dance space in front of a live concert stage. Classy bar and outdoor area by the waters for a relaxing time to enjoy the beautiful scenery. I was quite impressed by the overall atmosphere of the club to the fine details of decor that was placed - you can tell this place was built with passion, and it translates well. 2. Community. 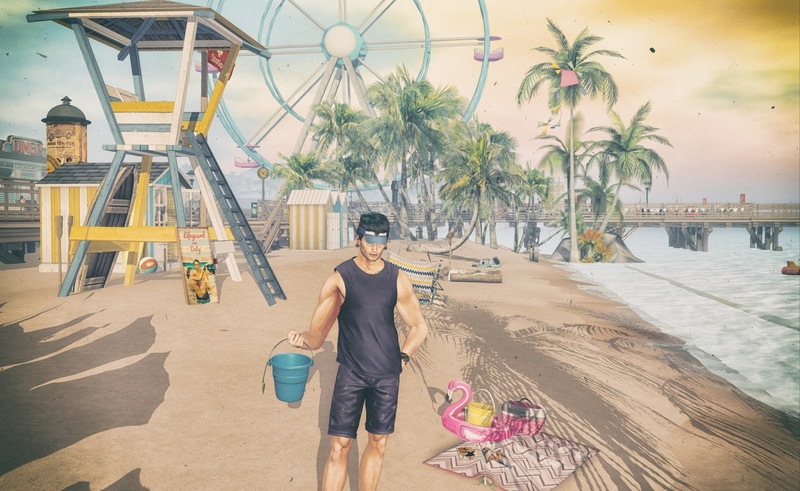 While going sim to sim, hunting for seashells, you can tell who is participating in the MadPea Summer Hunt even if they aren't wearing the MadPea group tag or sporting their team color's free (and cute) accessories that are available for each team. Everyone I have met have been incredibly nice and supportive, even if they are essentially on different teams. Though each time color is competing against one another, we are still collectively working towards a common goal of collecting more points to unlock more prizes. In that sense, I love the feeling of a supportive and cooperative community the MadPea events seem to carry without fail. Even if you are hunting alone, there is that sense of community still because there is usually always another MadPea hunter at the same place. 3. The prizes and the price. Let's not kid ourselves. $100L for a two-week hunting experience plus awesome, high-quality prizes that can be redeemed for points (some seashells can also reward instant prizes as well!) is unbeatable. I mean, I suppose if it were free like most hunts, that could make it 'beatable' but if you think about all the work that has been put into such a smooth, well-produced MadPea hunt with all these high quality prizes that you will actually want and use, $100L is nothing compared to that. While I loved the concept of the teams, I really wish it could have been taken a step further to encourage more team competitiveness and collaboration. I love co-op games from old school Nintendo Mario to classic League of Legends to modern Rainbow Six Siege, so I would have loved to see something more collaboration come out of the teams. For every sports game, there's a half time break to regroup, inspire, and re-strategize. It would have been amazing for the MadPea Summer Hunt Team Captains to have hosted some sort of official/planned gathering or pep rally half way through the hunt to "rally up the troops", so to speak. This could have been in a form of a pool party/bbq hang out or even a beach party dance. Regardless of the activity, the main idea would have been to allow fellow MadPea Summer Hunters to connect with their team more and be further inspired to contribute more, make new friends, and come out of this hunt experience with so much more than newly discovered land and neat prizes. Note that there was an informal dance-off between two teams to countdown the unlocking of the final prize with a combined team total of 10 million points. 1. A really dedicated seashell hunt here! Can you find the Golden Shell? 2. Incredibly creepy area while exploring Ironwood Hills. 3. Thinking this lovely lady was a bot avatar at Fall Haven's Diner until she said "Hello," on voice! The lovely Aria Songlark working the diner for hungry MadPea Seashell Hunters! So... what are you waiting for? Go get those shells and have a blast hunting one of the best MadPea hunts thus far! There's not much time left!